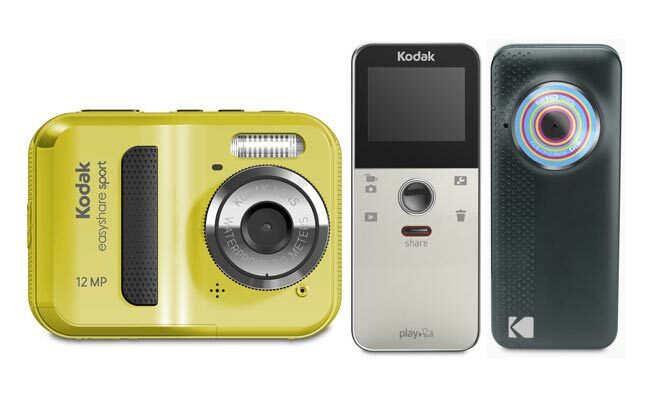 Kodak has just unveiled their new range of cameras and camcorders at CES, the Easyshare Touch, Mini and Sport Cameras together with their Playfull and Playsport Camcorders. Kodak is also launching their next generation of its Playsport video camera at CES, these are designed to be waterproof in up to ten feet of water, shockproof, dustproof and capable of recording video at 1080p together with five megapixels still images, it also has a share button and will retail for around $180. The new Kodak Easyshare Touch camera is equipped with a three-inch capacitive touchpanel, a dedicated video record button, a 14 megapixel sensor, 5x Schneider-Kreuznach lens and an HDMI output and will be retailing around $150.